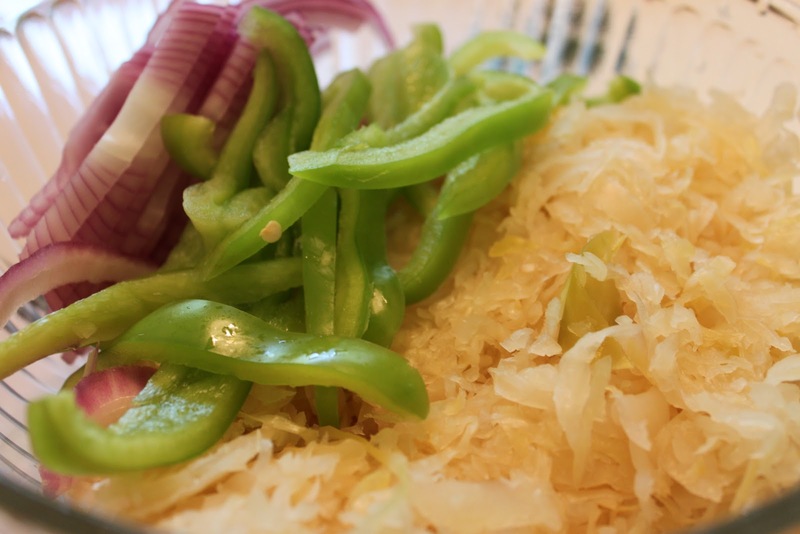 Since our county is celebrating Oktoberfest in September for some reason, I thought I would celebrate in my own way and make some sauerkraut salad. 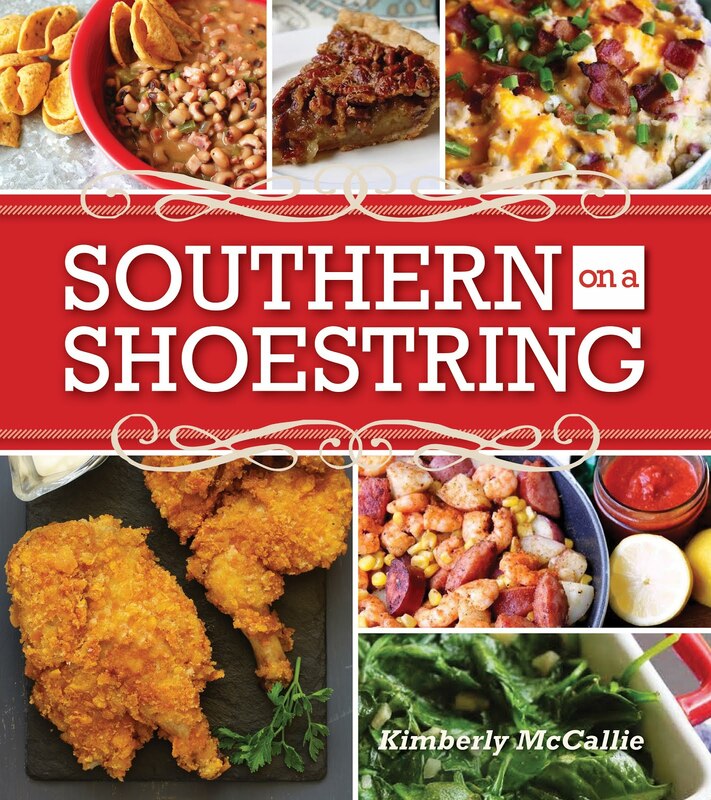 Now, this recipe takes me back to the beginning of my relationship with Eric. Ah, the good old days!! Soon after we started dating and Eric found out that I liked sauerkraut, he asked me if I had ever had sauerkraut salad. When I told him that I hadn't, he decided that he would make some for me. Up to that point, my only experience with sauerkraut had been eating it on a hot dog, but I was game. And, to my surprise, the salad was quite good. 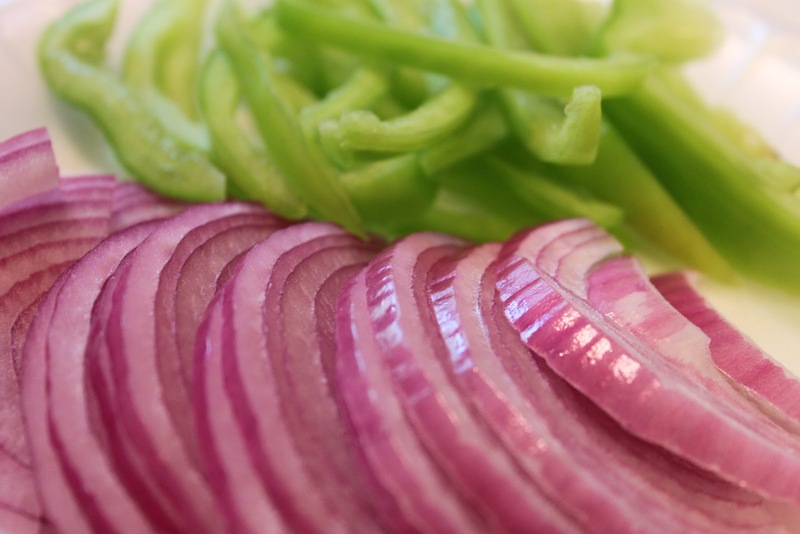 So, if you're feeling adventurous, give this salad a try. You may be surprised. Drain and rinse sauerkraut. Put in bowl and sprinkle with pepper and celery seed. 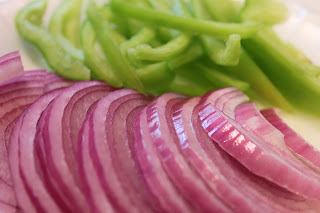 Add the thinly sliced onion and pepper. In a small pot, combine the vinegar, water, oil, and sugar. Bring to a boil and stir into the sugar dissolves. 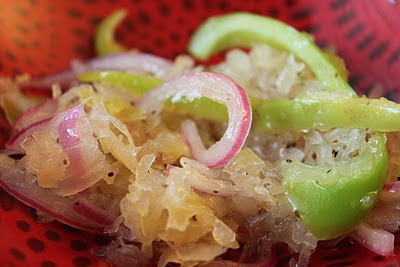 Allow to cool slightly and pour it over the sauerkraut, onions, and peppers. Stir together and chill, preferably overnight. Gather your courage and enjoy!